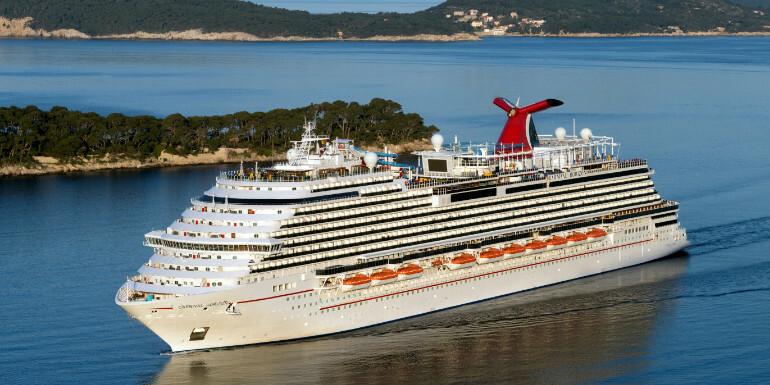 Carnival Cruise Line has changed the way they operate debarkation, and it’s going to make a lot of cruisers very happy. Instead of being assigned a zone and receiving the corresponding luggage tags in your cabin on the last night of the cruise, now you can choose the zone — or time — in which you debark. This is especially helpful for those who don’t want to do self-assist, but still have a morning flight to catch. Previously, if you got off before your number was called, your bags wouldn’t be ready to be picked up in the terminal. Zones 1 and 2 will still be reserved for those staying in suites, passengers using Faster to the Fun, and diamond and platinum loyalty guests. Other than that, you can now pick up luggage tags for any time you like from Zone 3 and beyond. The new system won’t impact those who choose to carry their bags off themselves, generally known as self-assist, because they don’t have to wait around in the terminal for their luggage. Learn more about Carnival Cruise Line! Express Debark: In order to be cleared off the ship shortly after arrival in the homeport, guests have the option of participating in our Express Debark Program if they elect to carry off their own luggage. The guest should first consider the size of the luggage and whether it can safely be maneuvered through stairs, hallways and escalators. Express Debark is a great option for anyone with an early flight back home. Checked Luggage Debark: Guests who wish to check-in their luggage by simply leaving their bags outside their stateroom late in the evening on the last night of the cruise. The Housekeeping Department will pick up the bags and store them in a holding area. Upon arrival at the port of debarkation, the luggage is unloaded and separated (by zone number) in the baggage claim area of the terminal. The guests must personally locate their luggage and either carry it out or seek the assistance of a porter. The customary tip is $1 USD per bag. For checked luggage debarkation, you will need to pick a location on the ship to wait until your number is called. Each ship has a list of designated areas. Zone numbers will be called over the PA system in numerical order about every 15 minutes, depending on the flow of guests getting off the ship. Do you think this new system is an improvement over previously assigned debarkation zones?